A small stuffed toy armadillo may not seem like a big deal to most, but apparently it is a big deal for Willie Nelson and one of the members of his road crew, and they want it back after it walked off after a concert. At Willie’s show on Thursday, September 19th at the Capital Theater in Port Chester, NY (a northern suburb of NYC), the small stuffed armadillo was stolen off the sound desk backstage by a woman who can be seen in low grade surveillance footage from the show (see below). The armadillo is affectionately known as O’ Dillo, and it is the property of Aaron Foye, Willie’s monitor engineer. More notably, O’Dillo is a beloved mascot of the Willie Nelson crew, and his kidnapping stimulated a message to Willie fans through his social networks. Someone stole Aaron’s Armadillo from the sound desk backstage on Sept 19 at the Capital Theater (149 Westchester Ave, Port Chester, NY 10573) Did you go to the show? Did you work the show? Help us find the WOMAN in this video who stole him. Armadillos are small armored mammals that rarely exist outside of Texas, and are considered an affectionate symbol of the Lone Star State. 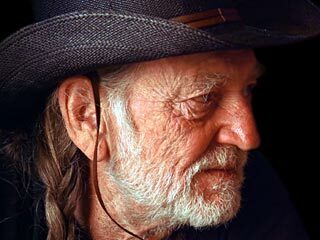 When Willie Nelson left Nashville for Texas in the 70’s and helped stimulate the Austin, TX music scene and country’s Outlaw movement, the epicenter of the movement was a club known as the Armadillo World Headquarters. Anyone who knows the whereabouts of O’ Dillo is asked to contact Willie Nelson’s management, or can contact us here at Saving Country Music, and we’ll do our best to see it gets returned to its rightful owner. (9/27/13 8:30 PM CDT): According to theater manager Tom Bailey at the Capitol Theater in Port Chester, NY, O’Dillo has been returned. The toy was returned to the theater’s box office in a sealed box. It was not the same woman who can be seen on the video below taking the animal, and the woman did not identify herself. Tom Bailey says they believe they know who stole the Armadillo, but Willie’s monitor engineer Aaron Foye has decided to not press charges. I’m glad to hear the armadillo was returned safely! I can only begin to imagine how Nelson’s crew must have felt having such a beloved mascot and symbol of sentimental value stolen from under their noses. At first glance it’s just a toy, but I completely understand how we all identify with several prized possessions on such a spiritual level. I felt isolated growing up, and much like many others during the late 90’s and early 00’s, I collected Beanie Babies. Eventually the fad wore off, but there are a couple of Beanies which I became particularly attached to like imaginary friends to which I still keep to this day. I know Foye’s attachment to O’ Dillo probably also has cultural depth and importance to him, and I’ve relieved whoever stole it had the decency to allow it to be returned, even if it wasn’t herself bringing it back to its rightful owner.